On Friday 8th of June, the World Ocean Day, Arcadia Shipmanagement Co Ltd uder the framework of its Corporate Social Responsibility, once again expressed its environmental consciousness and corporate environmental footprint by participating, on its own initiative, in the European Clean Up Day program coordinated by HELMEPA – Hellenic Marine Environment Protection Association (http://www.helmepa.gr/en/home.php). 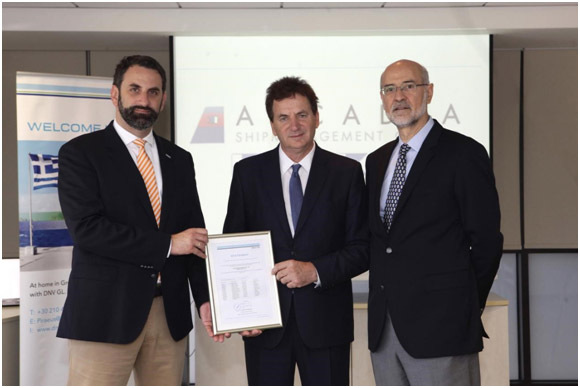 Arcadia Shipmanagement receives first DNV GL verified EU MRV monitoring plans. 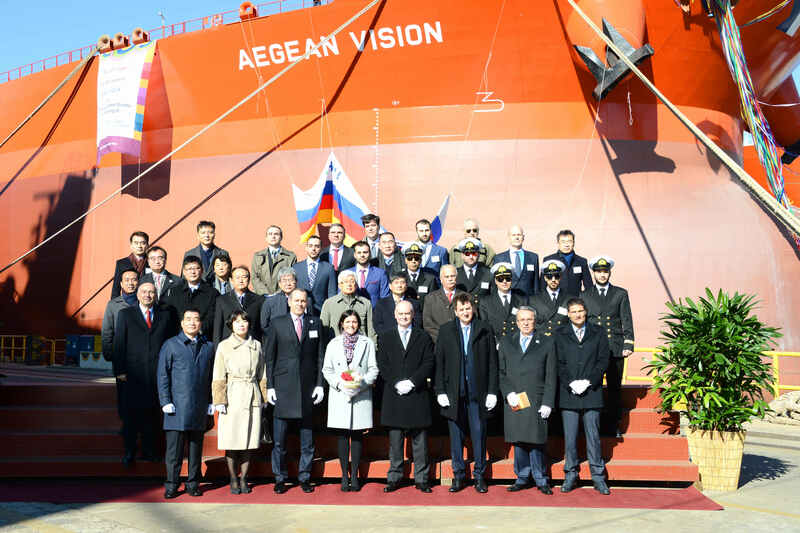 ARCADIA took delivery of the “Aegean Vision”, a newbuilding suezmax tanker of 159.000 dwt, built by Hyundai Heavy Industries Co Ltd at Ulsan of South Korea. The company has taken over the management of the “Aegean Dream”, a newbuilding suezmax tanker of 159.000 dwt, built by Hyundai Heavy Industries Co Ltd at Ulsan of South Korea. The company has taken over the management of the “Aegean Unity”, a newbuilding suezmax tanker of 159.000 dwt, built by Hyundai Heavy Industries Co Ltd of South Korea. Succeeding the previous dinners, hosted by ARCADIA SHIPMANAGEMENT at the Westin pool of the ASTIR PALACE of Vouliagmeni, it was time for a change of venue, this time being the Athens Matsuhisa restaurant, located in the ASTIR PALACE of Vouliagmeni. ARCADIA took delivery of a newbuilding suezmax tanker of 159.000 dwt, the “Aegean Marathon” at Hyundai Heavy Industries shipyard at Ulsan, South Korea. Οn the 29th of September 2014 at 13:30 hrs, while en route to Donges, France, M/T AEGEAN MYTH received a safety message from IMRCC Rome, Italy, instructing her to proceed for a search and rescue of human life at sea operation. Immediatelly, M/T AEGEAN MYTH altered course and proceeded to the designated position. 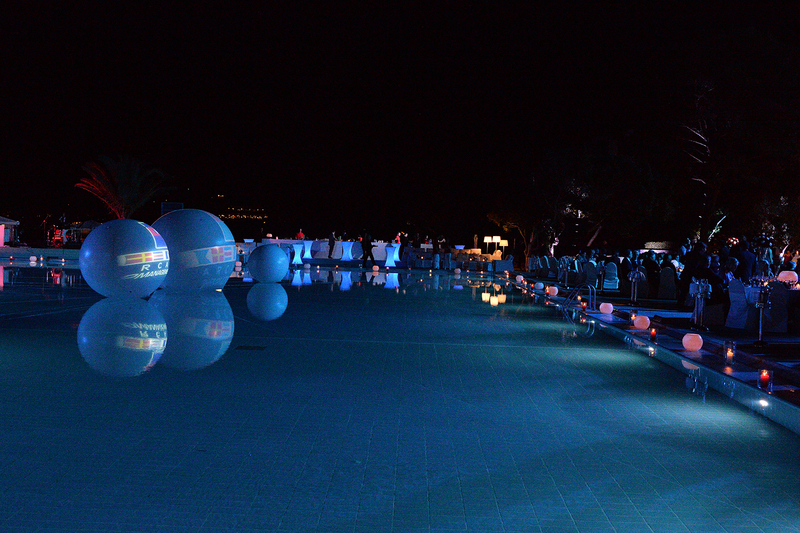 A widelly appreciated and well received dinner was hosted by ARCADIA SHIPMANAGEMENT on the occasion of POSIDONIA 2014, once more at the Westin pool of the ASTIR PALACE of Vouliagmeni, on the 7th of June 2014. The Greek tanker Aegean Nobility (IMO#9345441) during her voyage from Zawia, Lybia to Trieste, Italy in loaded condition, on January 12th 2014 at 21:18 hrs lt ordered from MRCC Rome acting on behalf of Libyan Maritime Authorities to proceed to the approximate position 33 53N / 013 29E participating in a Search and Rescue Operation. According to the initial information by MRCC, there was a rubber boat with about 100 persons onboard requiring immediate assistance. Vessel proceeded at full speed to their assistance. The Liberian tanker Aegean Pride (IMO#9200952) during her voyage from Mellitah, Lybia to Trieste, Italy in loaded condition and while at position 33 56N/013 15E, on October 15th at 16:24 hrs lt ordered from MRCC Rome acting on behalf of Lybian Maritime Authorities to proceed to the approximate position 33 54N / 013 46E participating in a Search and Rescue Operation. There was a rubber boat with about 100 persons onboard requiring immediate assistance. Vessel proceeded at full speed to their assistance. On May 30th, 2012, Det Norske Veritas (DNV) certified two New Seminars conducted by ARCADIA’s Maritime Training Centre, in accordance with standard No 3.201:2011 for the certification of Learning Programs. Having, initiated its ECDIS program back in early 2006 when ECDIS regulation was only a long term plan, by fitting TRANSAS dual ECDIS on the entire fleet, ARCADIA has teamed up again with TRANSAS Hellas in order to conclude the program and shift its fleet to paperless navigation. On the occasion of POSIDONIA 2012, an elegant dinner was hosted by ARCADIA SHIPMANAGEMENT at the ASTIR PALACE of Vouliagmeni, on the 7th of June 2012. The keys of a fully renovated and furnished classroom were presented by Arcadia Shipmanagement CO LTD to the Commander of the Academy of Merchant Marine in Nea Michaniona. The 11-men crew of the Korean flagged cargo vessel “TEL TALE II” were forced to abandon the ship which was sank 300 miles south of Puerto Rico on 16 April 2008. The keys of a fully renovated and furnished classroom were presented by Arcadia Shipmanagement CO LTD to the Commander of the Academy of Merchant Marine in Aspropyrgos (Piraeus). 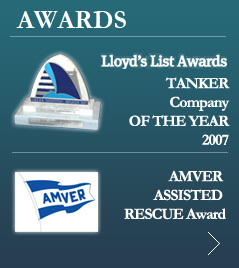 Arcadia Shipmanagement Co. Ltd "Tanker company of the Year 2007"
In December 2007 ARCADIA achieved the distinction of “Tanker Company of the Year 2007” at an event organised by Lloyd’s List of London. ARCADIA took delivery of a newbuilding aframax tanker of 115.000 dwt, the “Aegean Blue” at Samsung Heavy Industries on Geoje Island of South Korea. 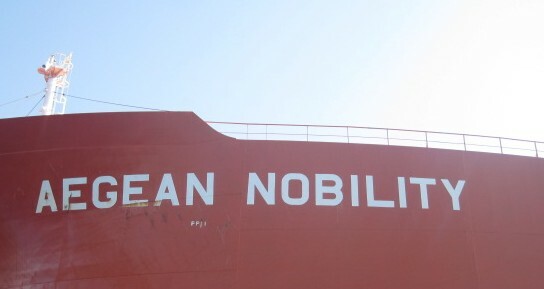 The company has taken over the management of the “Aegean Nobility”, a newbuilding aframax tanker of 115.000 dwt, built by Samsung Heavy Industries Co Ltd of South Korea. The company has taken over the management of the “Aegean Horizon”, a newbuilding suezmax tanker of 159.000 dwt. 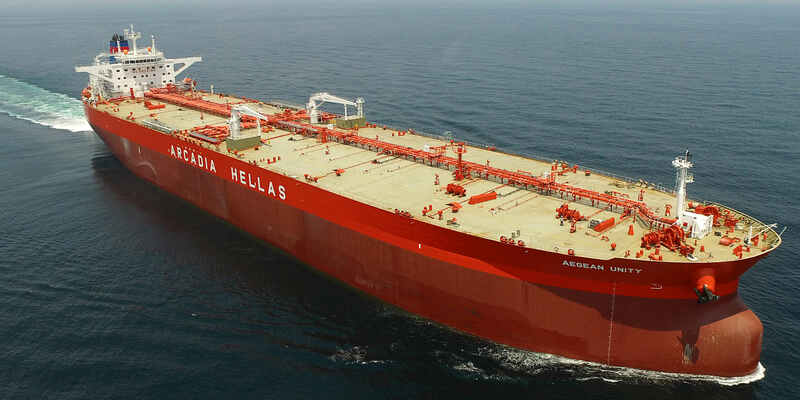 The company has taken over the management of the “Aegean Harmony”, a newbuilding aframax tanker of 115.000 dwt. 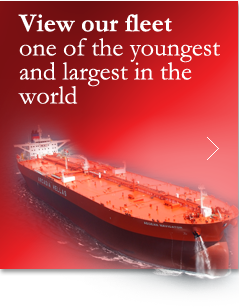 The company has taken over the management of the “Aegean Navigator”, a newbuilding suezmax tanker of 159.000 dwt. The company has taken over the management of the “Aegean Power”, a newbuilding aframax tanker, built at Samsung Heavy Industries. On the 15th of March 2007 the company has been certified as a Maritime Training Centre by Det Norske Veritas. 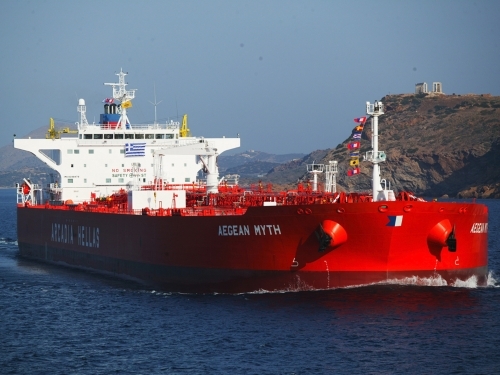 The company has taken over the management of the “Aegean Myth”, a newbuilding aframax tanker. On the occasion of Posidonia 2006, Arcadia Shipmanagement Co Ltd held a dinner reception at the Afrodite swimming pool area of Astir Palace Vouliagmeni, on 8 June 2006. On 23 February 2005, an external assessment by Green Award Auditors was conducted and the company was awarded the Green Award Certificate as evidence of compliance with the relevant provisions of Green Award criteria. Flying the Greek flag, under the command of Captain John Parisis and with a complement of Greek crew, the 160,000 dwt tanker "Aegean Dignity'' was delivered on the 6th of October 2004 to her Owners who entrusted the management to Arcadia Shipmanagement Co. Ltd.
On the occasion of Posidonia 2004, Arcadia Shipmanagement Co Ltd hosted a dinner reception on Thursday 10 June 2004 at the pool area of the "Afroditi", Astir Palace Vouliagmeni with friends and distinguished guests from the shipping community. 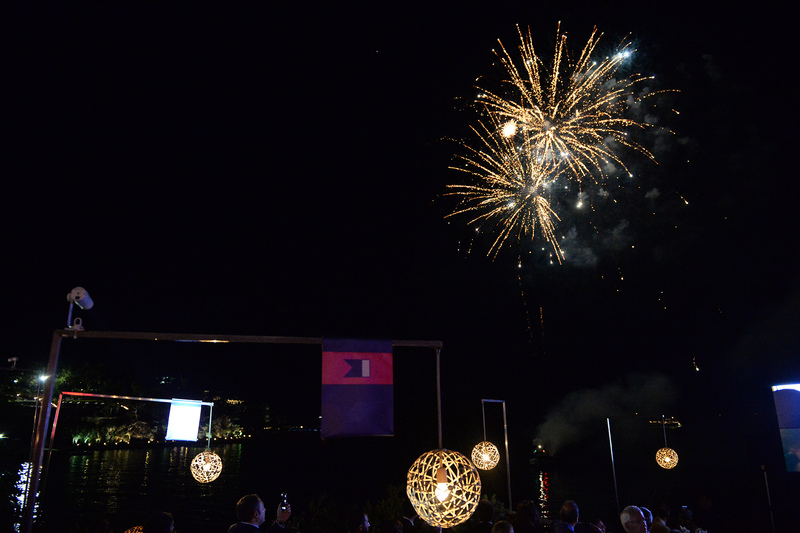 Arcadia Shipmanagement Co Ltd celebrated its 5th anniversary with a dinner reception at the "Island" restaurant in Vouliagmeni on the 3rd of July 2003.